Your key to campus. 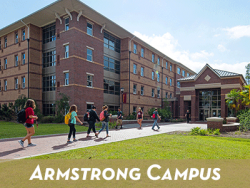 Eagle Card Services simplifies student life allowing access to campus amenities and resources. They are responsible for dining plan management, door access, campus identification and various other services. 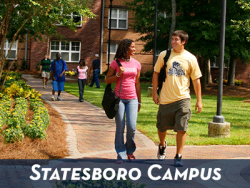 Your Eagle Card, Eaglexpress and our IRIS camera system make navigating campus life a seamless process. 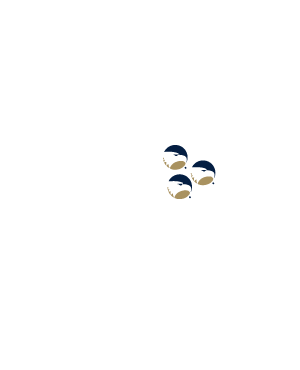 Your Eagle Card grants access to buildings and residential facilities, permits entry into athletic and student organization events and allows the use of your Eaglexpress account for purchases. Eaglexpress is accepted throughout campus and at 70+ off campus vendors. If you’re running low on Eaglexpress funds, use one of our convenient kiosks to reload money on your card as needed or go online. If you’re on the go, use Eaglexpress on the Tapingo app (available on Apple or Android) to order from most on-campus retail dining locations. 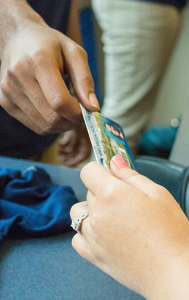 Your Eagle Card is not only your primary Georgia Southern identification card – it’s your “ticket” to gain access to a variety of services and locations. Eaglexpress is the premier declining balance system built into your Eagle Card and can be used anywhere on campus as well as many off-campus locations! Students can enter our Residential Dining facilities and the Recreation Activity Center (RAC) using a hygienic and hands-free entry method.